Both priesthoods were restored as Joseph and Oliver translated the Book of Mormon in Harmony, Pennsylvania. 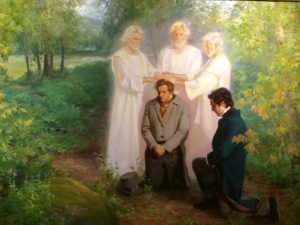 Many details were provided about the Aaronic Priesthood. Fewer details are known about the Melchizedek. A summary from LDS.org: Where was the Priesthood Restored? A two-minute video about the Priesthood Restoration Site near Harmony (now Oakland), PA.
58-minute video below by Elder Nelson on the Restoration of the Priesthood. President Russell M. Nelson of the Quorum of the Twelve Apostles dedicated the Priesthood Restoration Site in Oakland Township, Pennsylvania, on Saturday, September 19, 2015. It was in this area Joseph Smith received the priesthood, translated most of the Book of Mormon and received several additional revelations now canonized as scripture. Another video, highlighting historical details of Joseph’s activities in and around Harmony, PA from late 1827 till June 1829. 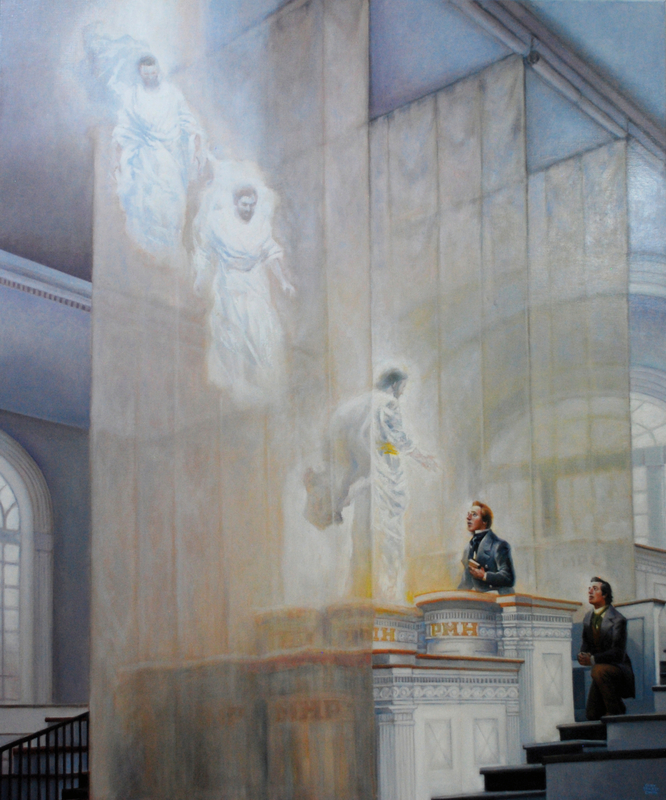 April 15, 1829 John the Baptist restored the Aaronic Priesthood. We know lots of details of this visitation. The date and location of the Restoration of the Melchizedek Priesthood is not known with certainty. Several accounts were given later and scholars have provided general estimates about date and location. Critics suggest that without a date & exact location the entire story is shown to be an obvious lie. Does that logically follow? No. That’s absurd! Do we know when Jesus commissioned his Apostles? No. Does it matter that we don’t know the specific dates of virtually anything in the Bible? No. How would it matter to know the dates? It wouldn’t. For many years we didn’t know that Martin Harris received payment for his $3000 loan for the Book of Mormon publication. 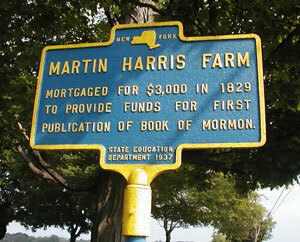 Decades later, Church historians found a record, indicating Martin got 60 acres in exchange for this $3000 loan. Some things turn up in Church history. Some don’t. Read descriptions of South Bainbridge, Colesville, and other locations pertinent to the Restoration of the Priesthood. After visiting friends in Colesville Township, NY near the end of May, 1829 mobs forced Oliver and Joseph to flee. They traveled all night to return to Harmony, PA where they were actively translating the record into the Book of Mormon. Oliver, much weaker physically than Joseph, collapsed during the night. Joseph carried the small Oliver for a time, but became exhausted himself. Sometime in the morning Peter, James, and John appeared. Joseph and Oliver left that region (Harmony, PA) shortly after receiving the Melchizedek Priesthood, and moved to join with the Whitmers. They arrived at the Whitmers’ home before the end of May 1829. Joseph and Oliver (and possibly a few other scribes) completed the translation in Fayette, NY. 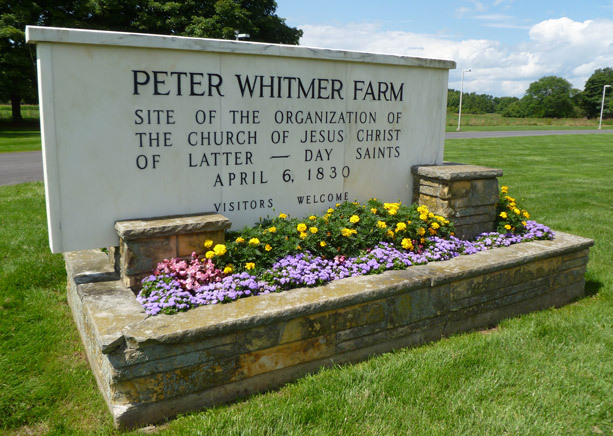 The Golden Plates were shown to the 3 and 8 witnesses in Fayette, near the Whitmer farm. 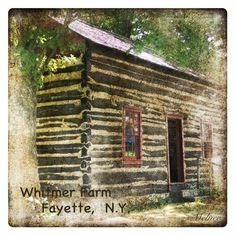 And later, on 4/6/1830, the Church was organized in the Whitmer log cabin. Gospel Tangents discusses the restoration of the priesthood in 1829, and its relevance to Fannie Alger. Peter, James, and John bestowed the Melchizedek Priesthood. That restoration in 1829 helps answer this question: was Fannie sealed to Joseph and with what authority? Elijah restored the keys to direct others to seal and be sealed. This occurred in Kirtland in 1836. Keys are not priesthood. Joseph held the priesthood since 1829. Though Joseph didn’t orally share the Elijah Kirtland visitation, it was immediately dictated and put in a journal. Joseph’s story got abroad in the early days. He published his account to put an end to rumors and falsehoods. Joseph was never eager to share the First Vision. This may seem strange with us. But this is consistent with how he handled many other events. For example, Joseph didn’t tell his father of his nightly Moroni visitations until Moroni told him to do so (the next day, after Joseph collapsed crossing the fence). Joseph likely wouldn’t have told anyone — and followed this pattern with his 1st Vision — unless instructed by the angel. 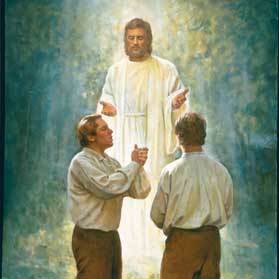 April 3, 1836: Savior appeared to Joseph and Oliver. They received keys from Moses, Elias, and Elijah. Elder Pratt included this (Joseph Smith’s) journal entry into D&C 110, but not until 1876. But most don’t realize the Joseph discreetly kept the record of the event to himself. Joseph told few if any of the full scope. Oliver was also disinclined to speak of the awesome 1836 event. Oliver had already shown this behavior: visited by the Savior in 1829 and shown the plates in a vision, Oliver shared this to virtually no one. Not until November 1852 was this account published in the Deseret News. This was entirely consistent with Joseph. He shared little. 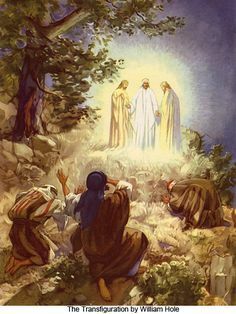 Matthew 17 contains the Transfiguration. Jesus instructed Peter, James, and John to tell no man. This type of event was not to be spread abroad. Likewise, no narrative exists from Joseph or Oliver relative to the restoration of the Melchizedek Priesthood. The record shows Joseph and Oliver discussed it, but determined sharing was not appropriate. A. William Lund, former Assistant Historian of the Church, gave this speech on the Melchizedek Priesthood Restoration in 1951 at BYU. These aren’t new issues. And Bro. Lund had a unique position from which to provide insight. Brother Lund worked at and was associated with the Church Historians Office from 1908 till his death in 1971. When Brother Lund came to work at the Historian’s Office there were many veteran members of the Church who personally recalled experiences in Nauvoo and early Utah. He enjoyed talking with them, as well as visitors who streamed past his desk for more than the next sixty years. Brett McDonald discusses evidence relative to the priesthood restoration, starting around 44:40 in the below video. The first part of this video focuses on the First Vision. Oliver and Joseph didn’t regularly and publicly discuss the specifics of the restoration till 1834. Oliver did refer to his own personal priesthood authority in 1829, however. See video segment below at 47:05 for discussion of Oliver’s account in 1829. As Brett explains in the video above, Oliver was a consistent and reliable witness throughout his life. 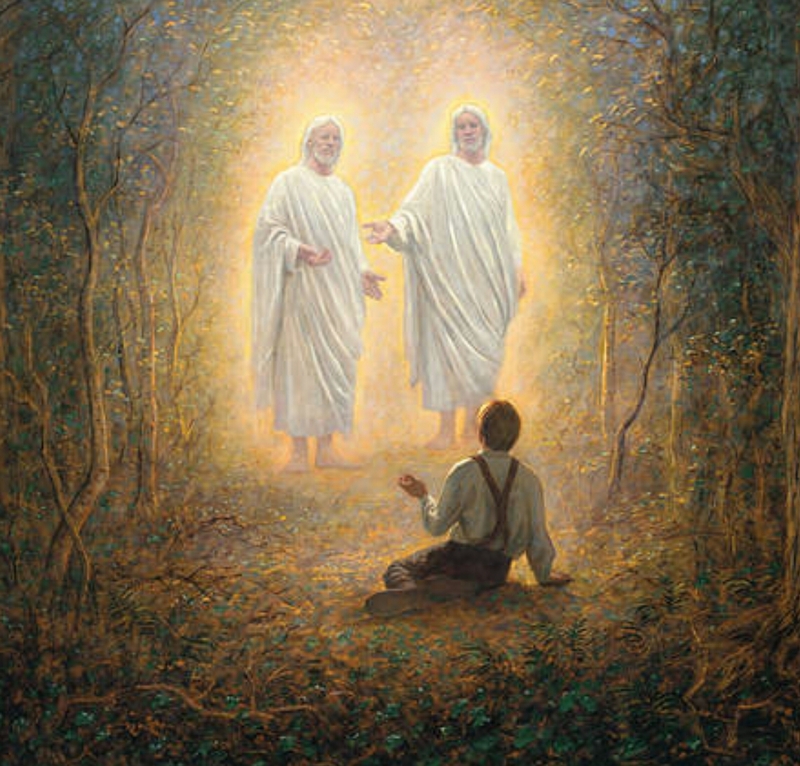 No conspiracy with Joseph — not during translation, restoration of the priesthood, or when he saw the angel and plates with the other witnesses. It might be a good time to review this below video about Oliver’s role as a witness to the Golden Plates, among other objects and items (Sword of Laban, Liahona, Urim and Thummim, brass plates, etc).